Second Shift tells the story of the Lansing region’s campaign beginning in 1998 to retain GM manufacturing. As the film tells, Lansing had a hundred-year history building Oldsmobile and GM cars, which all threatened to evaporate as the Oldsmobile product line wound down. In a bold move, plant managers decided to launch the new Oldsmobile Alero (one of the last GM Oldsmobile cars ever built) on the plant’s second shift. This move was intended to demonstrate that Lansing had a “deep bench” of skilled workers, extending well beyond its daytime first shift. This and other collaborative strategies were ultimately successful in convincing GM to stay in the region. While the plant that built the Alero did ultimately close, GM has opened and continues to invest in other new manufacturing facilities in the region. 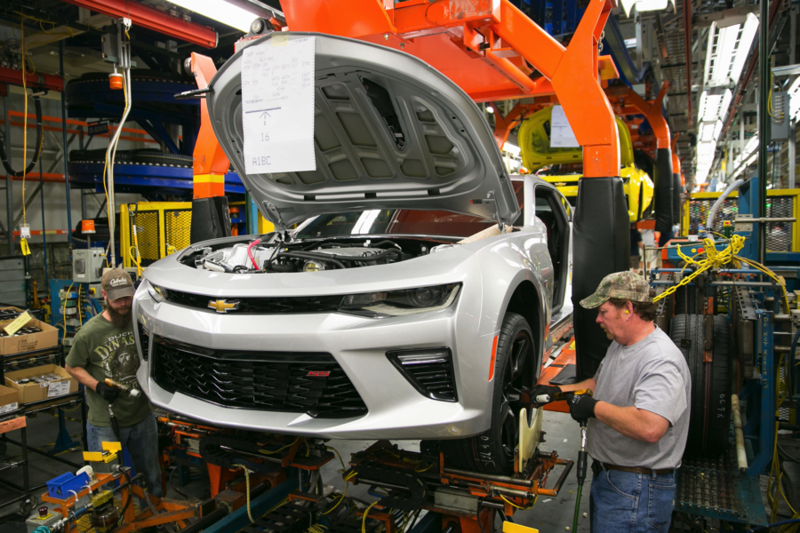 On May 28, 2015, General Motors’ announced that Lansing’s Grand River Assembly plant will resume a second shift of 500 jobs in late summer to build the sixth-generation Chevrolet Camaro. This recent announcement from General Motors reiterates their confidence in Lansing’s second shift workforce, and their respect for the Lansing community. Second Shift has also connected with a new audience: the Labor and Employment Relation Association. Second Shift was presented at the Labor and Employment Relation Association’s annual meeting in Pittsburgh. The president of LERA, a former Ford executive, shared that “Ford was envious of the efforts in Lansing and often wondered, ‘How did they do that?’” The event provided an opportunity for over 200 attendees to learn the answer to that question, as they engaged in conversation around the film. MessageMakers is currently working with members of the historical Keep GM campaign to develop new tools that will help other communities to evaluate the story as a model for their challenges.